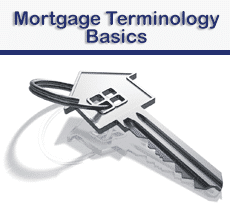 The mortgage questions we are asked are often based upon mortgage terminology. Some terminology is difficult to understand. We will start with some that relate to simple terms that are often misunderstood, and then progress to those that can really be confusing. Mortgage Questions: What is Preapproval? Preapproval, sometimes referred to as prequalification, involves a mortgage company checking your personal details before making a mortgage offer. These details will be your employment, income, banking details and your credit score (FICO score.) Fundamentally, your mortgage company will carry out all the checks they would have if you had already chosen your new home. Mortgage Questions: How do I Find my FICO Score? Generally, lenders will not ask to see your credit report, but might look at your credit score from each of the three credit reference agencies. In the USA, however, they are more likely to use only your FICO score that is calculated by Equifax and MyFICO. Like most vocabulary used in financial circles, FICO is not specifically mortgage terminology, but relates to all kinds of borrowing and lending.